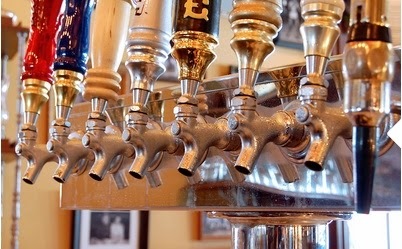 SustainableWork: Craft brewing's economic impact hits $34 Billion - Local foods will dwarf this. Craft brewing's economic impact hits $34 Billion - Local foods will dwarf this. The economic impact of craft brewing has reached $34 billion according to the Craft Brewers' Association. When local and regional foods are equally well organized their economic impact will dwarf craft brewing. We’re at the start of that evolution right now. The issues local and regional food systems face right now are similar to those the home brewers faced when they emerged from their early growth stages. Effective new business models. Reliable supply chains. Distribution. Marketing. Those tools are emerging quickly for local foods. Local and regional foods are creating amazing new opportunities for economic development in both rural and urban areas. And the fun is just beginning. Cheers!